Sorensen Roofing & Exteriors, G.C. specializes in both roof replacement and new roof installation in Colorado and Wyoming. There are many reasons to install a new roof, which is why our expert roofers will inspect your home’s roof and help you decide if roof replacement is necessary and worth the investment. If own a rental property, are planning on selling your home, or if your roof is more than 20 years old, Sorensen Roofing & Exteriors suggests having your roof inspected to assess any damage and determine if the roof can be repaired or if it’s time for a new roof. It’s important to replace your roof at the right time. Waiting too long to replace your roof or installing a new roof before it’s necessary could end up costing you. Our roof inspection can help determine whether your home is in need of a new roof or if roofing repairs and maintenance are enough. Contact us today to schedule an estimate for roof installation or replacement in and around Greeley, including Arvada, Littleton, Denver, Colorado Springs, Aurora. Unless there are obvious signs that you might need a new roof, like water coming into your home, you may be unsure whether roof replacement is the right answer. Besides having a leaky roof, there are other reasons why it might be smart to consider a new roof. 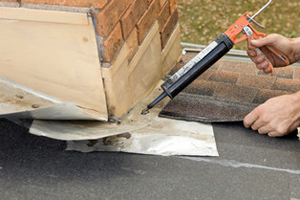 Storms can damage roofing in several ways. High winds sometimes blow roof shingles off the roof, creating obvious empty or broken areas that need to be reroofed. Indirect damage is also common; wind causes tree branches or entire trees to come down on the roof, often damaging the roof structure as well as roof shingles. Rather than make spot repairs following significant storm damage, it’s often smarter to replace the roof. Even if your asphalt shingle roof isn’t worn or damaged, it can make sense to replace your roofing to increase curb appeal and real estate value. Some homeowners decide to install new roofing as part of their preparation for selling a house. When combined with new, exterior siding or an exterior paint job, new roofing can really make an older home look brand new. Apart from its aesthetic impact, a new roof offers a great deal of financial security to a prospective home buyer. The new owner won’t have to worry about roof replacement or common roofing problems for a long time. Asphalt roof shingles typically last anywhere from 15 to 25 years. Unfortunately, factors such as storm damage, low slope, ice damming, and mold or moss growth can significantly shorten the life of any asphalt roof. If your roof has any of the characteristics described in the “Signs of Damaged Roofing” sidebar, it’s a good idea to replace the roof. Otherwise, you risk even more severe problems,like rotted roof framing and leaks that can damage the house and its contents. Are you planning to build an addition? How about adding some dormers or skylights? These major remodeling projects involve changes to your roofline and the installation of new roofing. Rather than have an unattractive mix of new and old roofing, many homeowners elect to have a total reroof done as part of the project. You can expect your roof to last somewhere around 20 years, but over time, your roof takes a significant beating. We understand that replacing your roof is a big investment, which is why our experienced roofing professionals will provide you with a high-quality system that will give you peace of mind. 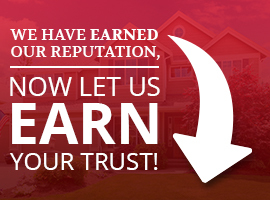 From the inspection, to the roofing installation and cleanup, you’ve come to the right place for roofing services in Colorado and Wyoming that you can trust. Give us a call at (970) 251-0911 or fill out our online form for a roof replacement quote today! We proudly serve Denver, Colorado Springs, Littleton, Aurora, Arvada, Longmont, Englewood, Broomfield, Fort Collins, Boulder, and areas throughout the Front Range.